It is the fear of freedom that makes this abdication of human responsibility to the machine such a temptation to large swathes of mankind. Much of humanity still remains conditioned to a parasitical need to be led. Once it becomes apparent that political and corporate leadership is deeply corrupted and not remotely concerned with supporting the health and welfare of human beings, nor the wider environment that supports all living matter, a state of deep insecurity is provoked within society. So, I am led to consider the likelihood that the deep state’s planned check-mate move in all this, is the role-out of 5G WiFi. 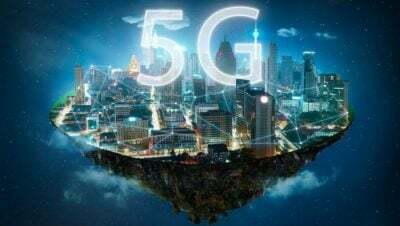 5G, with its determination to create a global satellite array designed to cover every last square inch of the planet, is designed to power this take-over by artificial intelligence. The AI take-over, in turn, is designed to power the global control system, and the global control system is to power the ‘internet of things’ which in turn is to power the ‘internet of everything’. It may not be in exactly that order, but what emerges are the preplanned moves of the final take-over. The New World Order. We stand right at the edge of such an abys. But paradoxically, it comes at a time of rapid awakening. Mankind will either fall or be party to the creation of a beautiful new dawn. A quantum expansion in the evolution of the species. Every one of us is faced by the choice of seeking to make manifest our God given attributes or going into denial of their existence. Julian Rose is an international activist, writer, organic farming pioneer and actor. In 1987 and 1998, he led a campaign that saved unpasteurised milk from being banned in the UK; and, with Jadwiga Lopata, a ‘Say No to GMO’ campaign in Poland which led to a national ban of GM seeds and plants in that country in 2006. Julian is currently campaigning to ‘Stop 5G’ WiFi. He is the author of two acclaimed titles: Changing Course for Life and In Defence of Life and is a long time exponent of yoga/meditation. He is a frequent contributor to Global Research. See Julian’s web site for more information and to purchase his books www.julianrose.info.